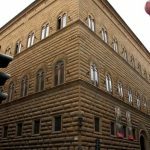 Palazzo Strozzi was started in 1489 for the rich banker Filippo Strozzi “the Elder”. 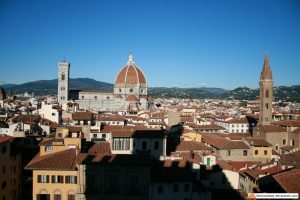 The Strozzi family had been banned from Florence in 1434 because they opposed the Medici, but thanks to the ability of Filippo, they accumulated a fortune in Naples and came back to their hometown in 1466. Helped by Lorenzo the Magnificent, Filippo started to buy buildings close to his property. 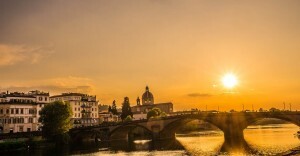 He never forgave the Medici for what happened years earlier and was determined to beat his rivals. A model of the palace was made by Giuliano da Sangallo in 1489, but Vasari in his Lives tells us that work started under the direction of Benedetto da Maiano. The palace had to be a replica of Palazzo Medici, just bigger. 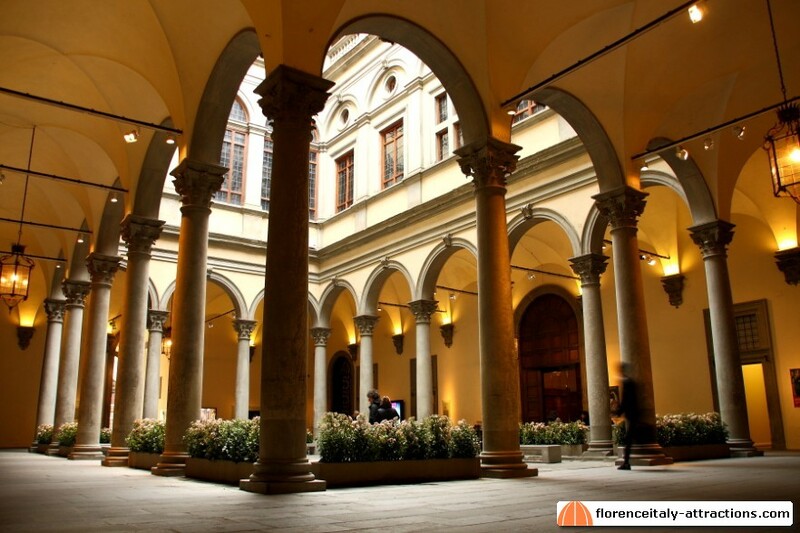 Palazzo Strozzi is one of the hidden attractions of Florence. Named after his father, Filippo Strozzi the younger was just 2 years old when his father died. 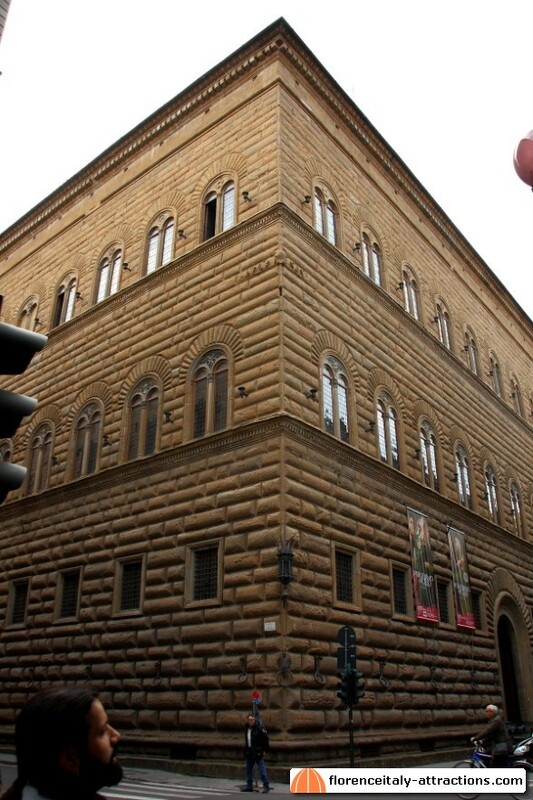 Palazzo Strozzi had been just started, and only in 1507 the ground floor will be used by the family. Filippo Strozzi the younger married Clarice de Medici, daughter of Piero the Unfortunate. For some time he was a supporter of the Medici, obtaining important political offices. In the meantime his fortunes grew, making the Strozzi as rich as the Medici, if not more. After 1530, when the city was ruled by Duke Alessandro de Medici, his relationship with the Medici family deteriorated. Filippo Strozzi thought that the Strozzi family, now the richest in Florence, had the right to take over and become the new rulers. Palazzo Strozzi was completed between 1534 and 1538, although the cornice on top is unfinished. When Cosimo I de Medici was named Duke of Florence (1537) after the death of Alessandro, Filippo opposed and joined the republican army; Filippo fell prisoner in a battle, was imprisoned in the Fortress of San Giovanni and died in 1538 (officially a suicide, but maybe he was killed by Cosimo’s order). 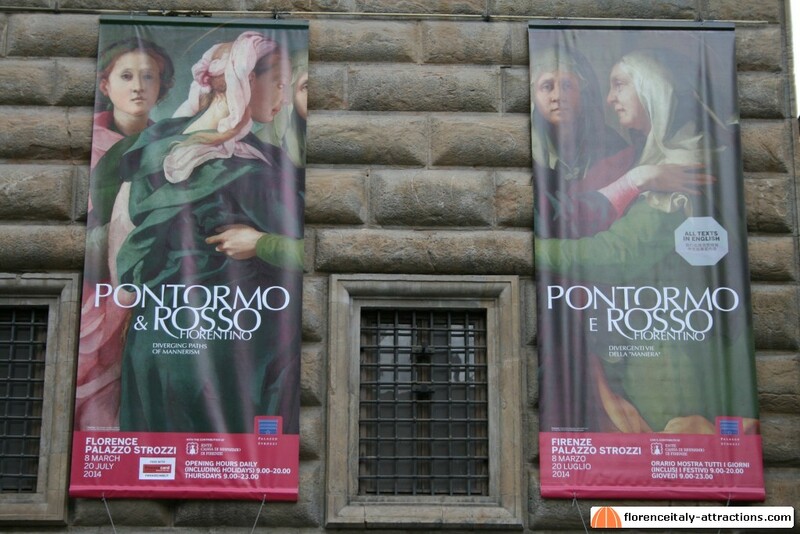 Cosimo de Medici confiscated the properties of the Strozzi family, that will get them back only 30 years later. 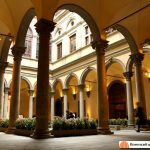 Palazzo Strozzi is the perfect example of civil architecture in the early Renaissance. Untouched, unlike Palazzo Medici or the Pitti Palace, it preserves the shape of a cube, typical of that period. The Strozzi family were the owners until 1907, when Piero Strozzi died with no heirs. Today it is property of the Republic of Italy. 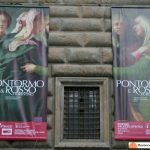 It is managed by the Palazzo Strozzi Foundation, that uses the palace to host the most important art exhibitions in Florence. Independently from the exhibitions, often amazing, it’s nice to visit the courtyard of the palace, also because of the coffee bar where you can drink an aperitif or have a light lunch.